Hassle free service at your door step. Keep your home Cooool and comfort. 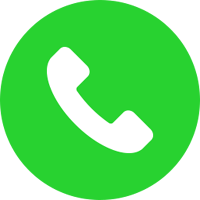 It is so simple to reach us-Just dial to our numbers or fill our complaint form. will resolve your appliance problem quickly. Is your refrigerator keeping you up at night with a constant annoying sound? Or do you generally feel that your refrigerator makes way too much noise than it should. We are the indusry pioneers in services past 15 years.we have service centres in entire Telangana nad Andhrapradesh. There are a great many appliances that through regular use will eventually require repair. Depending on the manufacturing quality and routine maintenance offered, such repairs can be delayed. But when any of your appliances is not up to par, we are happy to come on location and make the necessary repairs. No matter which appliance or what brand, call us for Appliance Repair and let our skilled professionals run a thorough diagnostic and execute the most plausible solution.